There are many among us who believe that time is a predator, patiently waiting for our bodies to age and yield toward its inevitable fate. However, there are few within the sciences that look at the ageing process through a different lens—viewing it as a disease, one that can be treated, slowed, and possibly even reversed. 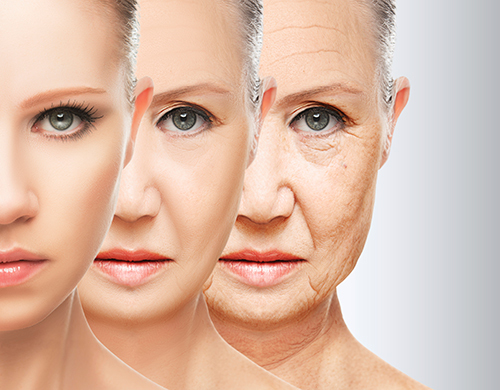 Scientists from the Salk Institute and the Chinese Academy of Science have published new data that they believe identifies a key driver in the aging process. The researchers found that the genetic mutations associated with Werner syndrome, a disorder that leads to premature aging and death is triggered by the deterioration of DNA bundles known as heterochromatin. A greater understanding of this process could lead to the treatment and prevention of age-related disorders such as Alzheimer’s, diabetes, and even cancer. Werner syndrome (WS), also known as adult progeria, is a genetic disorder that causes rapid aging and recapitulates certain aspects of the human physiological aging process. The disease is caused by a mutation within the Werner syndrome, RecQ helicase like gene (WRN). This enzyme typically helps maintain genomic stability and integrity, however in WS, the mutant protein disrupts DNA replication, repair, and gene expression. Dr. Izpisua Belmonte and his colleagues sought to determine how mutated WRN could wreak so much havoc on cellular process. To that end, the researchers generated an in vitro model of WS employing human embryonic stem cells that contained a genetic deletion of the WRN gene. The investigators observed that the altered stem cells recapitulated the WS phenotype and began to age more rapidly. At the molecular level they found that the deletion of WRN led to disruptions within the structure of heterochromatin, a scenario that could lead to global gene expression changes through epigenetic regulation. While their results are exciting and could have a major impact for age-related disease research, Dr. Izpisua Belmonte expressed caution in over interpreting the results, as more extensive studies will be required to fully understand the relationship between heterochromatin disorganization and aging.